It had got to be big topic that there is the mark that what kind of signals comes around when monotron had been released. Let’s check next 6 lines. it’s VCC, GND, GATE, Bias, Pitch and CutOff. What kind of signal we can get from there? let’s get check it out there. Korg had published the schematic of Monotron and anyone can download it. Follow next link and get it. you can find “Download” button at the bottom of the page. Let’s get check the schematics. off couse you may loose your warnnary if you remove the back panel of monotron. Do it with your own risk. What kind of signals we can get? Monotron is driven by 2 batteries. it has DC/DC converter inside and it provides 5V for all the schematics. 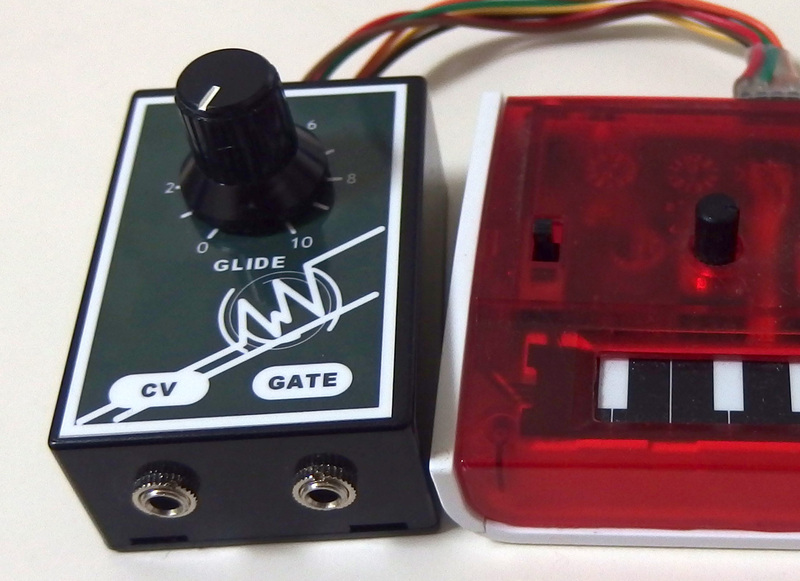 You can get 5V that monotron made. this is the same voltage of spring of batteries. the value of VCC is difference from here. 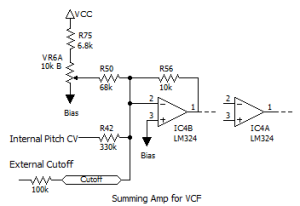 For driving Opamp, we need bias voltage. And this voltage also output from monotron to outside. this line is bfferd by IC2B. R10 and R9（each of them are 27kand10k) divide VCC, and it’s 1.35V or so. Monotron use LM324 as Opamps. It’s single rail type. Normal Opamp needs the margine from power line. 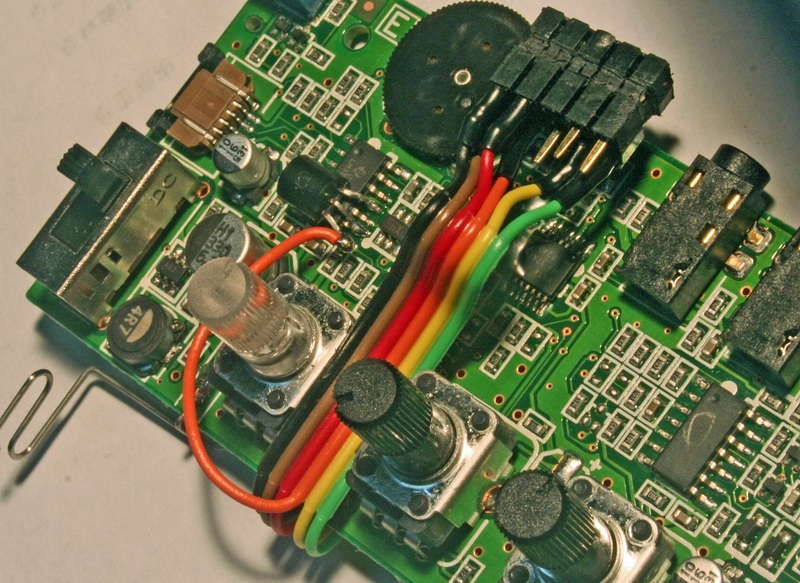 this opamp also needs margine to VCC. but lower side is around 0V. so you can use around 0V up to 4V or so in 5V operation. 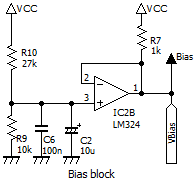 Bias voltage is just little lower than the center of the vltage that we can use. suppose why it should be. that the oen of fun of analog schematics! It seems to be input for external for gate signal. 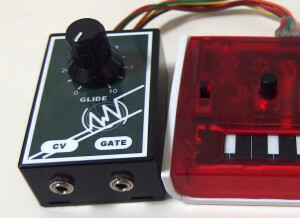 Inside of monotron, the gate signal is made by compalator. that’s IC2C. In the schematic that I trace from original, the Ribbon is seems to be a retio-stat. Actually when you touch it, it’s as is. And when you don’t touch it, the sweeper is not touch anything. But there is bias voltage thorough R5 from – input of IC2A. + input of IC2A gose to bias, so there should be bias level because of vertual short. In the other hand, the – input terminal of IC2C as compalator gets the voltage that divided from bias to VCC by R13(100k）and R14（2.2k). it should be just a little bit but surely upper than bias level. Each end of ribbon is coverd by the enclosure, so when you touch the ribbon you get the voltage upper than bias. you can use this page instead of hit the DENTAKU key when you want to get divided voltage from 2 registors. 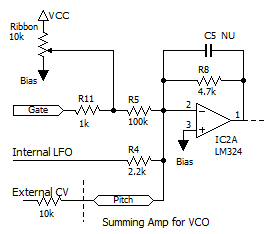 VCO is driven by summing amp that builded by IC2A. the input of summing amp are adding voltage from ribbon (R5) and signal from LFO (R4). 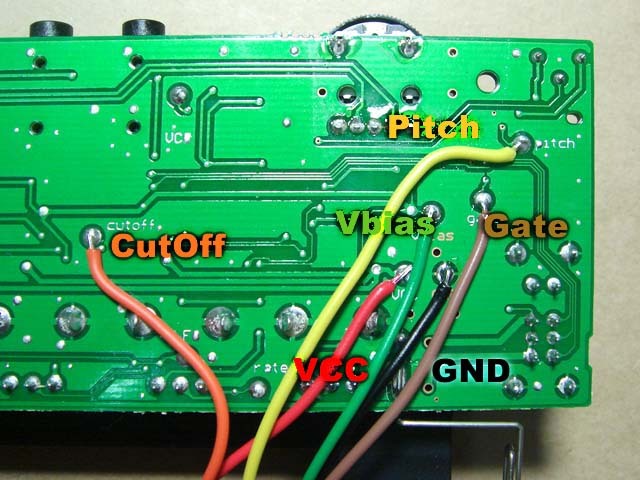 there is the rand for “Pitch” so you can add external voltage to there with some registor. by the way, What do you think about the R7 on bias block? 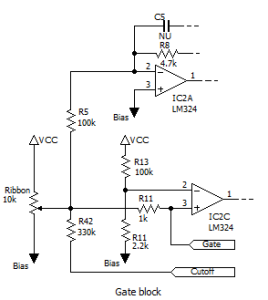 Single Supply Op Amps that’s used for monotron can get around 0V by single power source. it’s is great. But there is also small weak point. there is distortion point around 0V (or bias). because of the switching output stage around it. it’s called as zero closs distortion. 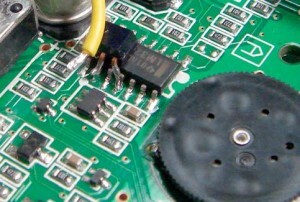 The R7 at the output of bias block bleed current to shift the point of distortion. there is same technic is used for R73 at last stage of VCF. in this case, it’s got down to the ground. That’s one of basic technic for using affordable chips. 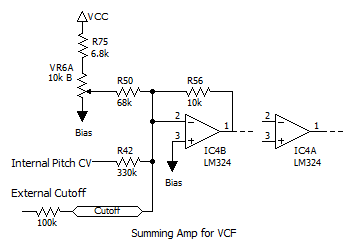 VCF is driven by double inverted amp (IC4B and IC4A).Q12 will change the cuff off frequency. Source of the voltage of cuff off is coming from VR6A. it around 0V to 2.98V ( that’s made by 10k of VR6A and R75(6.8k) it’s also summing point.so you can add registor to add the voltage outside of the monotron there. Let’s go straight ahead. Put the gate signal into Gate rand. What happens there? 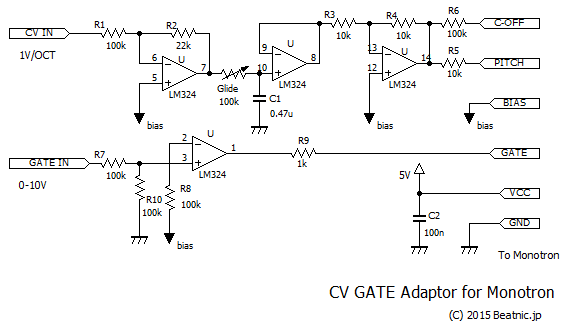 When we feed the gate signal, Pitch CV also be fed into summing amp. so VCO should be driven by next two source. if you don’t mind its pitch, as FX sound or something, then there is no treat around this. put gate signal no mods. in this case, the voltage of gate singal affect to the pitch. If you want drive it from MIDI or something, you may need more accuracy around pitch or so. but the gate voltage may get bad affect to the pitch. 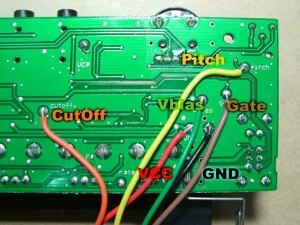 most simple way to remove the affect of gate voltage to the pitch is removing R11.this methods cut the path to make pitch and gate singnal inside of monotron. Blue circle is the R11 on the picture. Removing Chip registor from PCB is not easy for everyone. Adding the solder to a chip registor that we attempte to remove. make registor floating in molten solder then tip of soldering iron will grips it by the surface tension of molten solder. there is no need to scrape or pull. You should better to try this way first. there needs some practice for beginners. there is no need to re-use the parts. you should remove it without damage for the board. 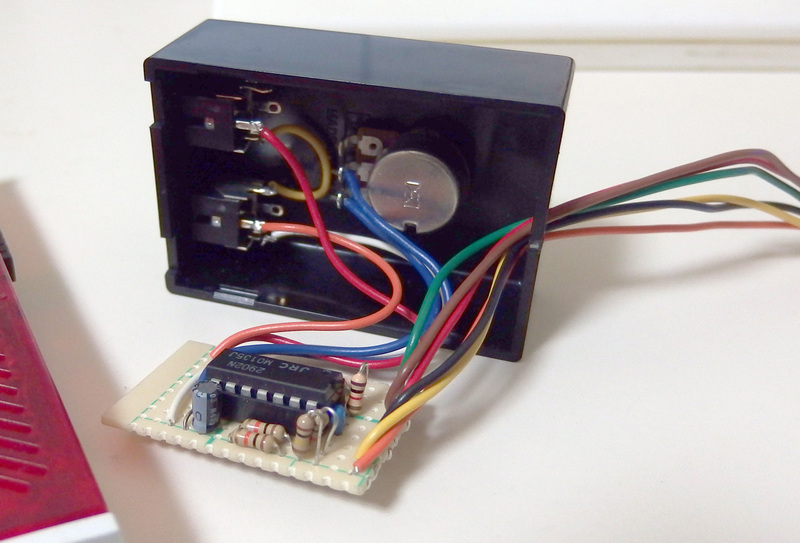 this mod allow you to add gate signal without any affect of gate signal level or something. but it kill the ribbon. Monotron should be getting not to be able to get sound itself. Your need gate signal from outside. if you no need to touch to the ribbon, then this mod is simple and easy. 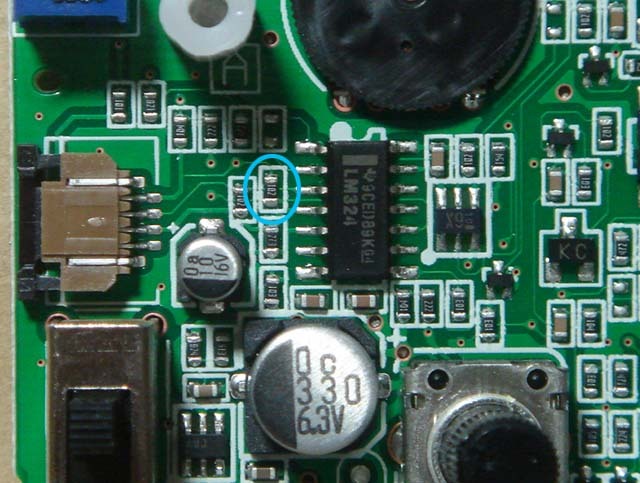 by using this methods, marks on the back side of the PCB is as is. but the line “pitch” and “cutoff” is conected on invert input pin of opeamp directly. this point has so high impedance. So you should better to not to draw the line too much. you may get noise around there. VCC, GND and Bias lines are power source. you can feed power to something you connect outside of monotron. but controlle cv inputs are just Gate, Pitch, Cutoff and GND. you may be able to use 3.5mm mini jack in monotron enclosure. anyway to find the room to put the connector is another difficulty for this DIY. in this methods, it’s so easy to do that but you can’t get sound fron Monotron itself. We need to do some other methods, when Adding MIDI-IF, then you can drive monotron from MIDI. but removing it from monotron, then you can’t get sound monotron itself. this methods kill the ribbon. 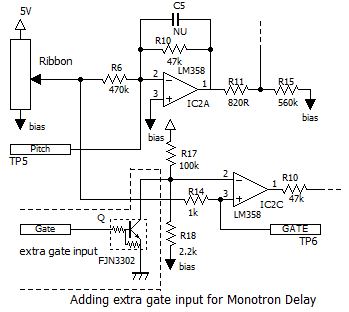 Monotron Delay has so wide frequency range than Normal monotron by its ribbon controller. just one flick of ribbon can get over 5 octave of frequency sweep. That’s the charm of this gear. In normal Monotron, I had recommended that more easy method to adding Extra gete input. But for Delay, I want you to try add transistor methods. Don’t kill the ribbon. Adding transistor methods it based on Mr. masa921 developed when the normal Monotron had been released. the methods that indrduce to you here is almost same as his did. the provider site that he use not allow to access from some of over sea. I can’t believe that!. As the same as Monotron, Korg had published the schematic of MonotronDelay and you can also get it. Follow next link and get it. you can find “Download” button at the bottom of the page. There is small change around parts# or something, but Monotron and Monotron delay is almost same schematic especially around VCO. 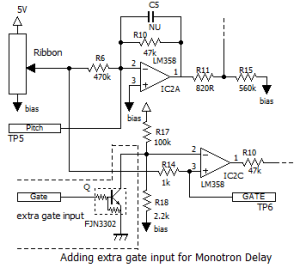 This is the schematic of extra gate input for Monotron Delay. The key of this method is .. by shorting R18 by added TR, get down the compare voltage low to make compalator on instead of getting ribbon voltage high. masa921 use DTC114 but it’s already discontinued item and it’s not easy to get now. 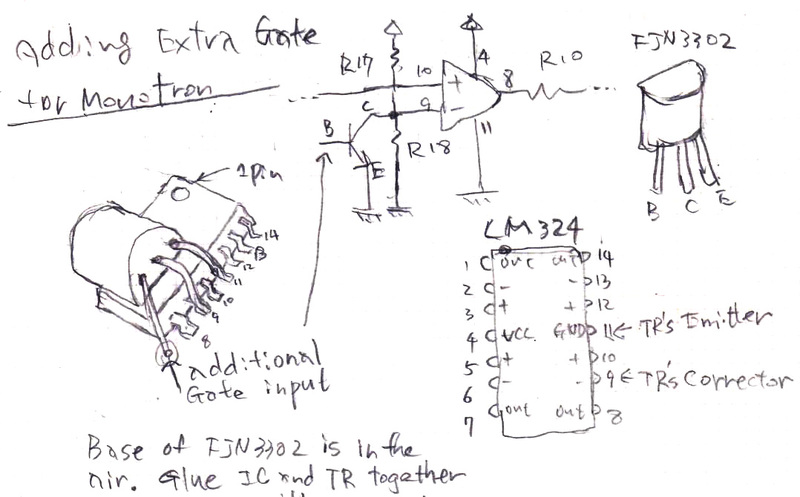 so i use FJN3302 as another choice of digital TR. the reason to use Digital TR is only the space. if you have enough room to put parts then you can use simple tr and base registors. Put down to flat face where notes its name of transistor to the LM324(Quad ope-amp) then most left pin (3) is base. it’s just in the air. it don’t connect anywhere on the PCB. 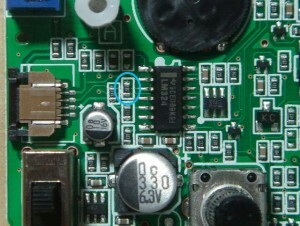 The 2nd pin is corrector. 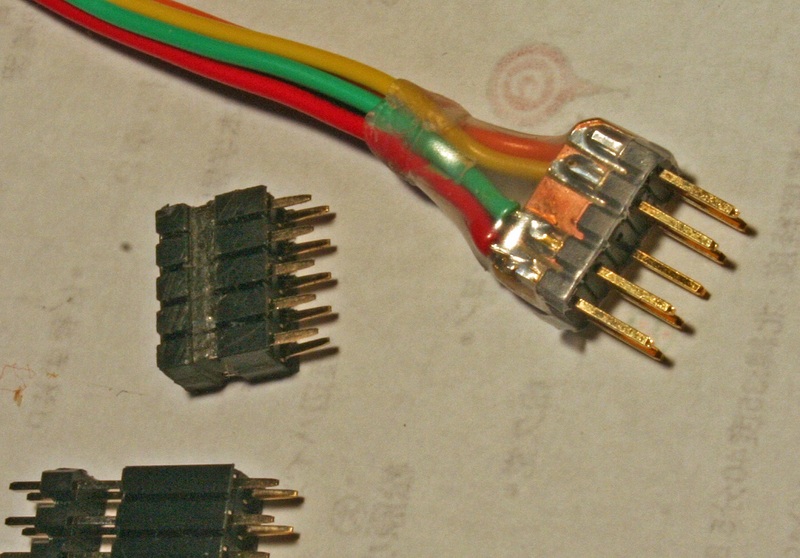 it gose 9 pin of LM324. The last pin of FJN3302 gose to the grand. 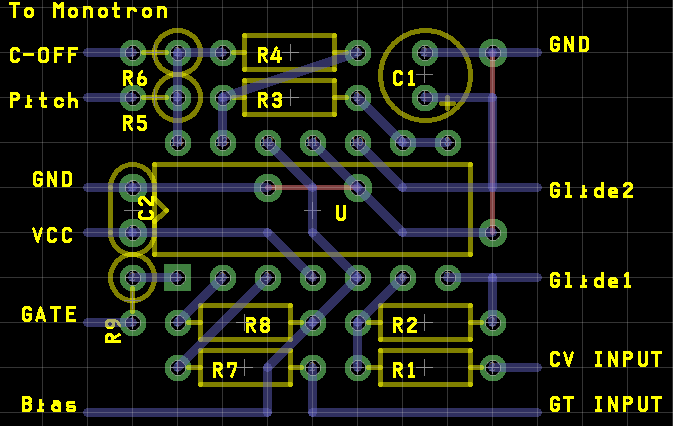 I use 11 pin of LM324. base pin of transister is just in the air. When you finished to check if it works or not, glue the IC and the transistor together, as soon as possible. It’s so easy to tear off around there by pulling wire of the base. you can this lead as additional get input. just draw out the wire there. this drawings may be help for you, also. this methods based on for monotron, so you can use this for monotron also. Adding connector, you can make it removable monotron and another equipments. 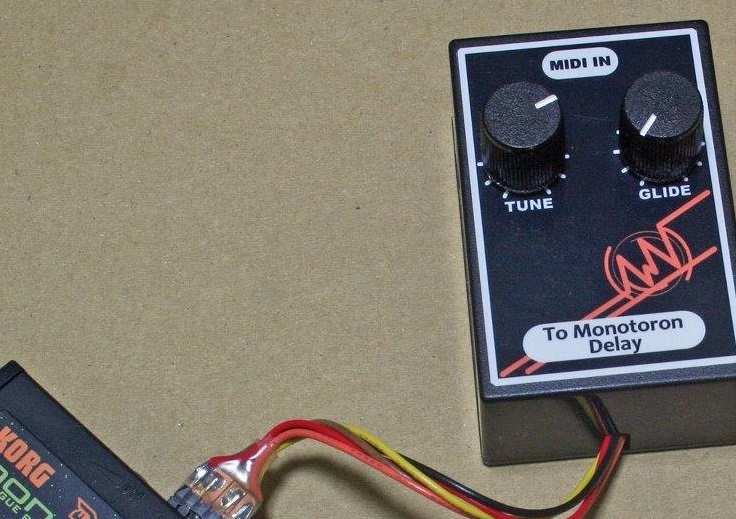 When you connect MIDI-IF something, you can drive monotron from outside. 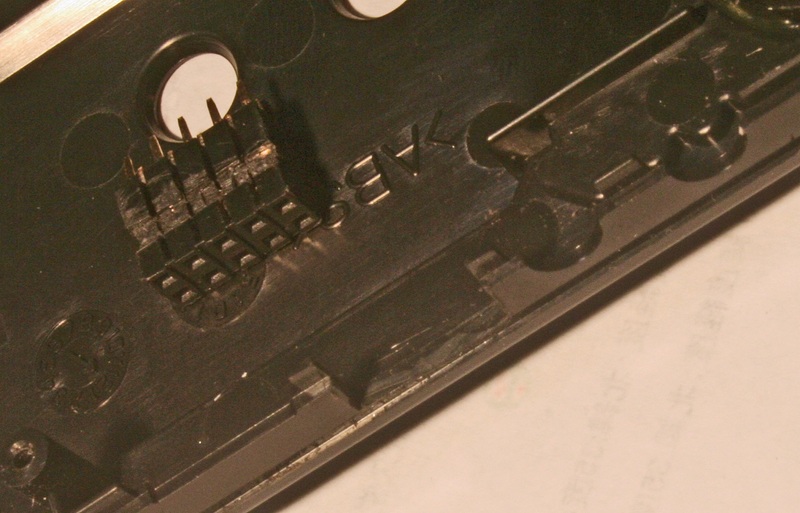 and when you remove it then you can play it by build-in ribbon. Big probrem is there is no connector that suits for monotron, I think. Anyway, it’s too small. MR. masa921 did like this. I did almost same things just like this. This mod give monotron a chance to connect something to drive it by another equipments. How about 1V/Oct Adaptor ? I add a portament function on it. I realy love the portament. I don’t need any volume knob. but I need portament knob. I hope that every synthe lover think as same as me. Build it using universal pcb board or something.this is one of DIY project. if you want to adapt it to monotron Delay, you may need pitch change function and more something. think about it and share it, please. You can get MIDI-IF kit for monoton and monotron Delay at beatnic.jp. visit next page and put an order. this kit have some options. if you build it for normal monotron, then I recomend that getting #205 Connector and pot set of MIDI-IF for monotron with #200.
if you want to use this kit for monotron Delay, then order #207 Extra parts set for Monotron Delay with #200.